Mars and I got a rain barrel last weekend. It was a free gift for enlisting in our town's "Energy Challenge". How much water does it collect? I asked that very question of the woman who was dispensing them at our town's transfer station. She turned out to be the "Rhode Island Water Lady" and Southern New England Marketing Representative for The Great American Rain Barrel Company. Querying her about collecting precipitation is like asking the author Alex Haley about his family's history. Her data came at me faster and in more detail than I could handle -- wanted PowerPoint, got Excel. Plus, because her numbers were so much larger than what I expected (I was thinking something along the lines of 1" = 1") my brain went into automatic propaganda protection mode. IF I wasn't going to believe her anyway, why did I need to understand what she was saying? Besides, I figured if I really cared then I could get the actual numbers somewhere on the World Wide Web -- such as, of course, the water education section of the Nashville.gov website. "For every inch of rainfall that falls on a catchment area of 1,000 sq. ft. you can expect to collect approximately 600 gallons of rain water. Your roof catchment area is equal to the total square feet of your house (one story) plus the extension of your eaves. To calculate the square footage of your home's catchment area, measure the outside walls of your home, including the overhang of any eaves. Multiply the width times the length of your home to get the total roof catchment area. Let's say your home has a roof catchment area of 2,000 sq. feet. Since one inch of rainfall provides approximately 600 gallons of water for a 1,000 sq. ft catchment area, you could collect 1200 gallons during a 1" rain." Actually, I think, that is pretty much what the RIWL told me -- only she did it much faster and with considerably more passion. The barrel holds sixty gallons. Last week we had a one-day rainfall totaling three-quarters of an inch according to our rain gauge. I unscrewed the rain barrel top and looked inside. It was seventy-five percent full. Wethersfield, Connecticut (our town) averages forty-four inches of rain per annum -- slightly more than three and one half inches of precipitation, AND an equal number of barrels-full of water, per month. 99.9% of the vegetation upon which I would shower my newly saved precipitation will receive that same three-point-five directly from nature. Most of this greenery happens to be perennials that are native to our neck of the woods, and therefore already geared to survive on this local precipitation pattern (accidental Xeriscaping). I have probably watered those plants no more than five times in as many years. The nine or ten arrangements of annuals that Mars pots up each year will, combined, take one watering can full every other day -- unless it rains. And the six tomato plants perhaps another one. Quick math and intuition tells me that we are going to be collecting way, way more H2O than we can possibly use. I haven't checked but I don't think you are allowed sell water back to the grid. As another goodie from the "Energy Challenge" we received a home energy audit that included replacing our old incandescent bulbs with the new, low energy/really slow-to-ignite compact fluorescent lighting. Mars and I now arrive at the top of the stairs several minutes before the luminescence to light our way kicks in enough to actually light our way. Sometimes, for fun, I flip the switch on, and race up the steps to see if I can scale all of them while it is still dark. Unfortunately that uses up a lot of my energy. And it makes me all sweaty and thirsty -- conditions that, according to the instructions that came with the barrel, I am advised not to tend to with collected rainwater. Kermit the Frog is right, "It's not easy being green." Even though we do not live there, Hangdog Lane has long been my favorite street in our hometown of Wethersfield, Connecticut -- not because of its location, or its appearance, or anything even remotely contemporary. It is totally the name -- the kind of label that shouts out that there must be an interesting story behind it. It even made the list of "embarrassing town names" on snopes.com. And it does in fact have an historical, or at least urban mythology, etymology. The legend goes that back in colonial times, some of the original New England patriots hung the mutilated body of a local British sympathizer's pet dog from a tree in that area. Wow! Vigilante justice, historic significance, and a really cool appellation. Hard to top that one. We live on the corner of Brimfield Road and Folly Brook Boulevard. Our house faces the boulevard yet we have a Brimfield Road Address. Folly Brook is an interesting moniker, but certainly not one that implies anything important or even interesting in its lineage. I initially assumed that Folly was a person -- perhaps even a misspelled Irish surname. Once (I do not remember when) I asked a neighbor (I don't remember who) "Where is Folly Brook and why is it called that?" I was told that the creek pretty much ran under the eponymous street above it - and the name was the result of an unsuccessful attempt to reroute another small stream, named "Beaver Brook" that flowed in that general area. A derisive public began calling the failed aqua-engineering project "Folly (as in stupidity) Brook". Over time the popular name replaced the legitimate one. I accepted that explanation and probably passed it on to others over the years without the slightest compunction -- even though as I became more familiar with the concept of urban folklore, this story began more and more to feel exactly like one of those unsubstantiated neighborhood beliefs. Finally, while doing research for an article on the history of Wintergreen Woods, our town's nature preserve which runs along the northern edge of an uncompleted portion of Folly Brook Boulevard, my curiosity about the etymology and actual location of Folly Brook was revived. 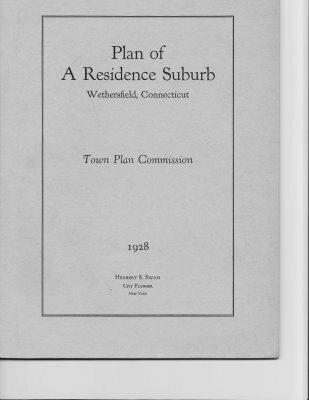 The proximate cause of my newly restored interest was the 1928 "Plan of a Residence Community" prepared for the town of Wethersfield. That document first proposed the roadway schematic that ultimately resulted in the construction of Folly Brook Boulevard. The roadway was however originally planned as a four-lane highway named the Goodwin Parkway. 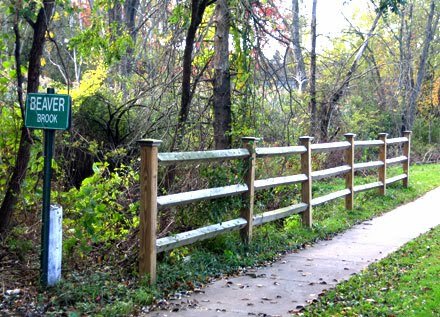 "... Goodwin Parkway extends from the southerly limits of Goodwin Park up either side of Beaver Brook to its source, as an informal parkway varying in width according to the contours of the ground as well as to the limitations imposed by private developments. At the source of Beaver Brook it proceeds as a formal parkway in a southerly directions to Griswold Street, which it crosses, and thence in a southeasterly direction down Goff Brook into Mill Street, across the railroad tracks to its intersection with the Middletown Parkway." The map included with this report shows a dashed line delineating the parkway and the word "GOODWIN" drawn on what is pretty much the route of today's Folly Brook Boulevard. Beaver Brook? Even though it was not that germane to the subject of my inquiry, I rerouted my research through the online archives of the Hartford Courant and found the following story from September 7, 1935. "A sign near the city line designating a Wethersfield brook as 'Folly Brook' has been removed at the suggestion of Jared B. Standish and a new sign reading 'Beaver Brook' will be placed there by the State Highway Department, it was learned Friday. Mr. Standish, who is a member of the Town Board of Parks as well as town historian, will also endeavor to have the name of the Metropolitan District Commission's new development of Folly Brook Boulevard changed to West Swamp Parkway, he said. "The name 'Beaver Brook' was given the stream by the early settlers of the town, Mr. Standish explained. About the year 1726 some person dug a trench to change the course of the brook from the city line to the river. Townspeople at that time termed this action 'folly'. Since that time the name 'Folly Brook' has gradually become associated with the brook, Mr. Standish said. "The Folly Brook Boulevard development, which extends from Campfield Avenue at Victoria Road south to Griswold Road at Prospect Street, was first considered as a parkway by the Town Park Board some years ago. It was taken over by the Metropolitan District Commission with the intent to construct a sewer there, possibly within that year. 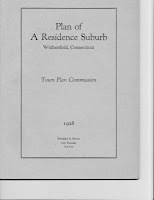 The brook which courses through Wethersfield was erroneously referred to as 'Folly Brook' on the maps of the boulevard layout." Wow! Wow! Much funkier than I had imagined -- and apparently an issue that has bubbled under the surface in our town for years. And, better yet, no animals were harmed in the making of this street name. Mars and I never really met a coyote or a greyhound until we traveled to New Mexico. We had of course seen both of them before that time. We knew about the wild canines from zoos and nature documentaries - and in Mars' case also from watching a coyote trot down the middle of our suburban Connecticut street one morning before dawn. The domesticated ones were also spotted in our neighborhood, this time by both of us. A pair of them was sometimes observed walking slowly at the end of a leash held gently by a mid-eighties woman who lived several houses up the road. At that time, if asked, we would unequivocally have declared the desert wolf to be, by far, the more dangerous of the two species. Our "up close and personal" New Mexican experiences only served to solidify that belief. The first set of face-to-face coyote encounters occurred two autumns ago in the hills outside of Santa Fe at where we were dog/house sitting. Audrey is a daytime, outdoor dog who takes very seriously the job of guarding her property. She has over the years had at least two losing encounters with some of the coyotes that wander through the sparsely developed high desert terrain wherein the residence sits. The wild canines are around pretty much 24x7x52 - but are most active around dawn and dusk. Their call and answer cries dominate the otherwise totally quiet landscape and sky. These yips are kind of scary to easterners like us who are used to streetlamp lighting and background noises like automobile stereos and passerby family chatter. The noises both pissed-off and terrified Audrey who barked courageously while checking to see that an adult human protector was close by. Mars, who apparently is attuned to such things, had our first southwest sighting when one of the lanky gray creatures jogged across the terrace during our morning breakfast. I didn't see it and spent the remainder of our dog care stint moaning about my missed opportunity. On the last day of this pooch-sitting visit we went for our usual mid-morning hike along the high desert arroyo. Audrey as she is 99.999% of the time, was off leash. Her feline housemate "Kitty", also untethered, accompanied us as she normally did. Twenty minutes into our trek I saw a gray blur in my peripheral vision. Then Audrey, who had been wandering into the underbrush alongside the trail, went rushing by me. I immediately began to run after her. When I looked up ahead I saw a tall, thin, gray canine running diagonally across the path, with Audrey in hot pursuit. Well probably not that hot actually. Although her body was performing the sprinting motion her speed was slower than she had previously shown she was capable of. For a few brief seconds I was actually gaining on her. She however was not catching up with the object of her pursuit. I called her name and she stopped. The four of us agreed it was time to head back home. A couple of months later some coyotes apparently killed the cat. Since that event I have seen other coyotes on or near Audrey's land. She always barked ferociously and made a show of threatening them. They ran away. And we both quietly breathed sighs of relief. That Christmas while Mars and I were in Santa Fe again, our daughter-in-law Monica and son Bram adopted a greyhound. The four of us met Cheyenne for the first time at the home of a foster family with whom she had spent the previous five days. Prior to that she had been training and racing at a greyhound track in Arizona. She was two years old and a stereotypical castoff racer - house broken, willing to receive affection, docile, and as clueless about real world as a fourteen girl who had been raised since birth in a cloister. Cheyenne bumped into glass doors, was baffled by sidewalk curbs and steps, and in general just didn't get the whole concept of interacting with a pack of people. Now she acts like dog. But a recent (4/26/10) article in the New York Times introduced a different view of the relative demeanor of these two canine breeds. And caused us to wonder if it is true that all of us people on this earth are really from the same planet. 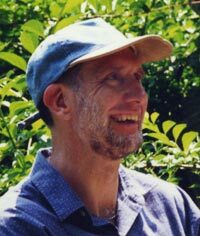 "'Greyhounds are calm, gentle dogs, but they're also pretty efficient killers,' [John] Hardzog [cattle rancher and coyote hunting with greyhounds practician] said as he picked a clump of tawny coyote hair from one dog's teeth. 'This is exactly what they're born and bred to do. Yep, this is what they live for. "'When you get the dogs running in a dead run after a coyote, now that's a sport,' Hardzog said before spitting snuff into a tiny gold spittoon. 'The coyote is just about the smartest wild animal alive because they always have an escape route. I respect them. They can outsmart you. But greyhounds are smart, too. I think they're the neatest dog ever made.'" Now my definition of a "sport" includes games like golf, tennis and baseball. It also covers polo and horseback racing (probably because people are competing along with the horses), as well as athletic events where the winner is decided by subjective judges such as figure skating and gymnastics. It does not include watching greyhounds killing coyotes. However, historically dogs chasing animals has been considered an athletic pastime. It is called "coursing" and illustrations of the activity have been found on Egyptian tombs dating back to before 2500 BC. Moreover, according to the Greyhound Racing Association of America, "[coursing] really was the precursor to greyhound racing." "Originally, coursing was a sport that exhibited a single dog's skill in sighting and catching a game animal. During the 16th century, though, it became a competitive sport, with two dogs matched against one another in a race for the game. The owners of the dogs usually had a sizeable bet on the result and, at some coursing races, spectators also gathered and placed side bets on one dog or the other. "The first official coursing meet was held in 1776 at Swaffham, Norfolk, England. The rules of the Swaffham Coursing Society specified that only two greyhounds were to course a single hare and that the hare was to be given a head start of 240 yards. 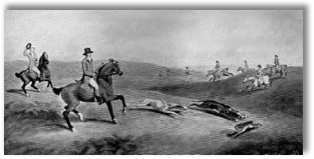 "In 1837, the Waterloo Cup Meet was established as a coursing tournament for greyhounds, and it's been run annually ever since then. During the late 19th century, the meet drew crowds of up to 75,000." In all of the above the goal of the game was for the greyhounds to catch and dispatch their prey. "Greyhound racing with an artificial lure was introduced at Hendon, England, on Sept. 11, 1876. Six dogs raced over a 400-yard straight course, chasing an artificial hare riding on "an apparatus like a skate on wheels" along a single track, according to a newspaper account. "Dubbed "coursing by proxy," the race drew little interest and the idea was abandoned. But it was revived 31 years later in the United States." In 1919 with the development of an "inanimate hare conveyor", a change of venue to an oval track, and the initiation of on-track betting greyhound racing became a successful business - and, in the common vernacular, a recognized sport. "His way of killing coyotes, he insisted, is the most humane, but he worries that his favorite sport will be banned. "'Probably 99.9 percent of the people that's going to protest it never been, don't have an idea of what a coyote is or what a greyhound is,' Hardzog said. 'To me, they don't even have a right to draw an opinion. They can pass all the laws they want to, but the good Lord is going to do all the judging.'" Mark Twain famously said, "Golf is a good walk spoiled." But it is still a sport, i.e. "an activity involving physical exertion and skill in which an individual or team competes against another or others for entertainment". Coursing, on the other hand, seems like nothing more than a good hike, and a good pet, ruined. Dandelions are an "In Danger" species. You would think if you were "in danger" you would go out of your way not to draw attention to yourself. You would try to blend in with your surroundings and match the colors and textures within which you like to hang out. You would never, ever be a jagged-edged plant snuggled in the midst of soft blades of grass, or a tall yellow flower looming above a solid green background. And you definitely wouldn't hide out along the outer edges of your target territory with half of your body nestled in the thick grassy lawn, and the remainder blatantly hanging out over the sidewalk like a black spider on white shower tile - "I'll just crouch down really low. Yup. They can't see me now." But if you are not endangered, that is to say you've got the numbers, then I guess that you just wouldn't care. There was a time in my life when I would have mocked and ridiculed the very thought of anyone wandering the perimeter of their property - weeding tool in right hand, plastic bag in left - eyes peeled for the slightest hint of sharp leaf angularity or startling gold coloring - dropping to a combative squat at the first hint of "dent-de-lion" - plunging their snake-tongued blade in quest of the unseen, infinitely deep tap root - bagging the trophy - wearily forcing aching legs to straighten - and moving on in search of the next prey. Now every day I patrol the border of my land doing exactly that - and I love it. I think it's my residual hunter-gatherer heritage - a rekindling of the basic primal urges that fueled our prehistoric ancestors' survival. Some modern weed stalkers use lawn fertilizers or herbicides as their weapon of choice. These hands-off methods sort of satisfy the predator portion of our genetic makeup - but not really. I prefer hand-to-root combat - seeking out and tracking down the dandelions, prying them out, and tossing their pelts into my plastic prey-pouch - hunting AND gathering - paying homage to my roots, and showing respect for my quarry. And they are worthy of our admiration. "The head of a dandelion is not actually a flower; it is a cluster of flowers ..... between 150 and 200 of them, each bursting with a type of nectar that is irresistible to bees, who swarm from plant to plant, pollinating each one with fanatic loyalty. And secondly, in the right setting, they are aesthetically pleasing. An uncultivated field filled with bright golden dandelions is a thing of beauty - the more the merrier, the bigger the better - weed heads packed wall to wall, heads of jagged leaves larger than the unhealthiest "Fried Onion Blossom". It is a tribute to Nature's ability to decorate itself. But lawns are not natural. Neither are gardens. Dead branches are natural. Lifeless bushes are natural. Plant diseases are natural. Dehydrated plants are natural. One shrub crowding out another is natural. Ground covers running amok are natural. Dandelions with wide spreading skirts that prevent anything else from sharing their food and drink are natural. It is the nature of Nature to achieve abundance by occasionally being unattractive and disorderly. It is the nature of gardeners to seek perfection by tinkering with Nature. Most horticultural fine-tuning is background work - in many instances the problem and the solution are visible only to the plantsman himself. But some things that need fixing are smack in yo' face - like a single taunting dandelion on an otherwise green lawn. To be just one weed away from flawless is enough to turn even the most laid-back, Type-B gatherer into a ranting and raving, Type-A+ hunter. Bring it on dan-de-lion! Booyah!! !